San Diego's San Salvador Sets Sail Labor Day Weekend! 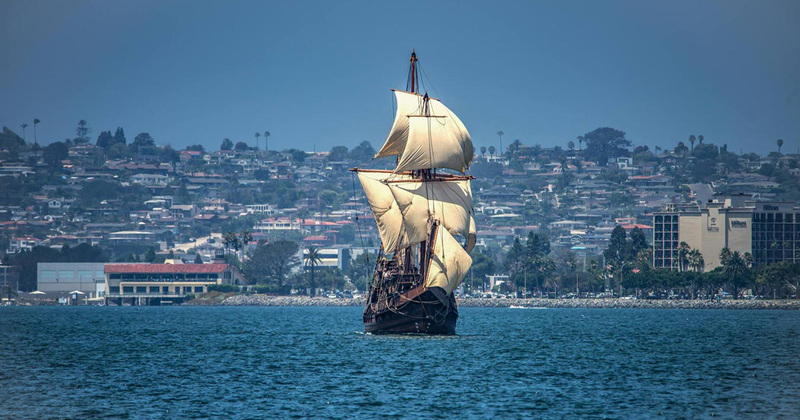 San Diego’s ‘Mayflower of the West’ San Salvador Sets Sail Labor Day Weekend! You know the old saying, “In 1492 Columbus sailed the ocean blue…” Well, San Diego has its own historic maritime tale: “In 1542, Cabrillo sailed the ocean blue and discovered…San Diego.” Yep, hard to believe that over 470 years ago(! )Portuguese explorer named Juan Rodriguez Cabrillo, who sailed for Spain, came across our little slice of paradise. Cabrillo didn’t stay long, though; just enough time to anchor his ship, the San Salvador, off Point Loma, note and name our beautiful bay, and continue up the coast. San Diego makes history again Labor Day Weekend, September 3-5, 2016, during the Maritime Museum of San Diego‘s maiden voyage celebration of the first full-scale, historically-accurate working replica of the San Salvador, the “Mayflower of the West.” The impressive $6.2 million vessel stands 60 feet tall, weighs 230 tons and took the Maritime Museum five years to construct. Coinciding with the museum’s annual Festival of Sail, the largest tall ship festival on the West Coast, visitors can for the first time board the San Salvador and enjoy a variety of onshore exhibits spotlighting this seaworthy recreation of Cabrillo’s 16th century galleon. At each port, visitors will be able to board the ship and discover immersive dockside exhibits and events. It would be more than 200 years later before the first Spanish mission was founded here. 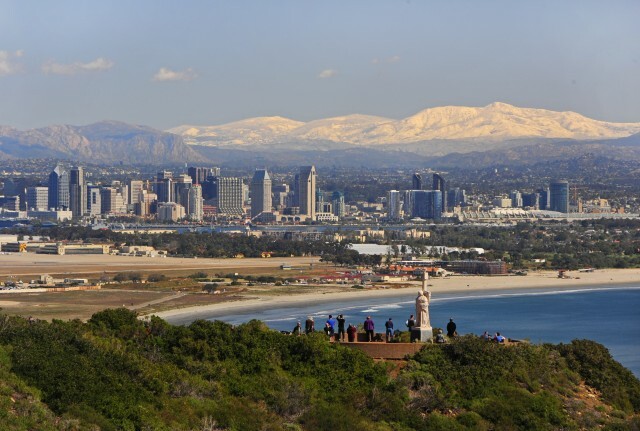 There’s a 14-foot statue of Cabrillo with panoramic views of San Diego Bay and downtown; a phenomenal photo opp! Did you know: the Cabrillo sculpture was initially envisioned as a colossal statue that would exceed the Statue of Liberty in height! 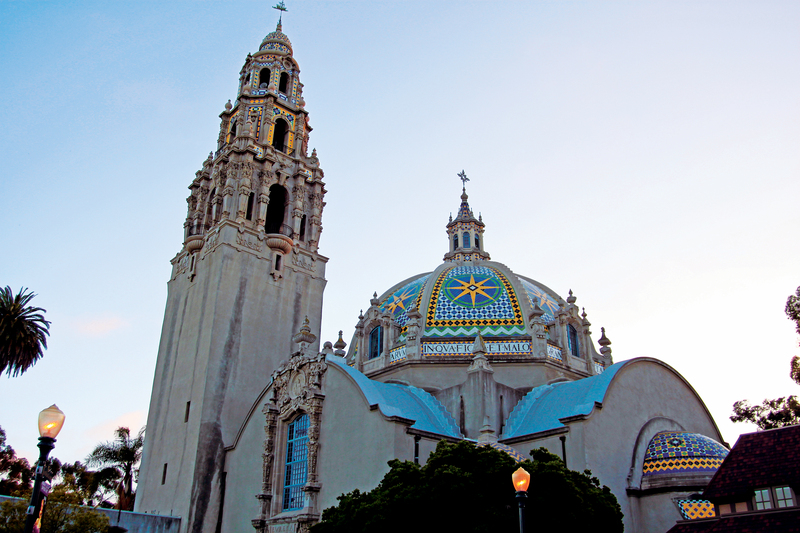 Cabrillo find #2 is located high atop the California Tower in Balboa Park, part of the San Diego Museum of Man. You’ll need binoculars to spot this one. The large weathervane on top of the cathedral-like tower is, in fact, the San Salvador. Pretty cool! For the first time in 80 years, the California Tower is now open for visitors to climb. Reservations required. Don”t forget to bring your camera! On the museum’s façade, there’s also a clay and plaster figure of Cabrillo. If you’re facing the building, he’s just below and to the right of Junipero Serra , father of the California missions (right of the balcony). 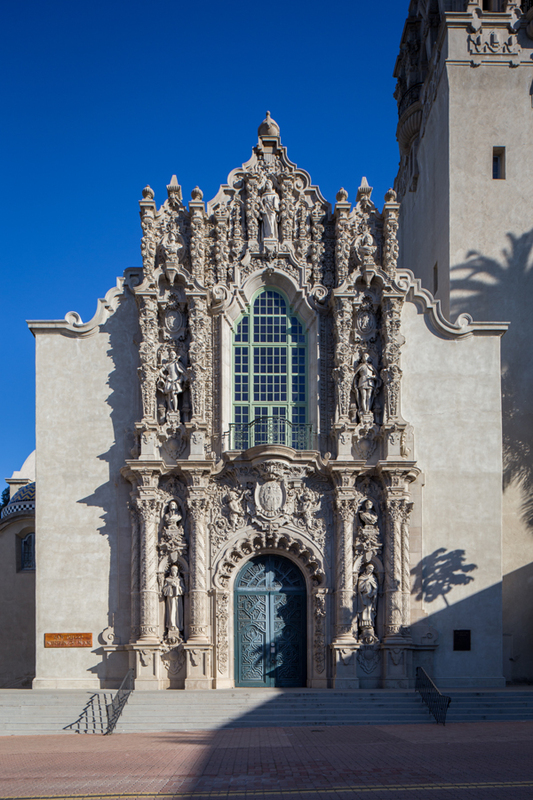 San Diego Museum of Man façade. Can you spot Cabrillo? This entry was posted in Arts & Culture, Attractions and tagged arts and culture, family/attractions by Robert Arends. Bookmark the permalink. Hi Deborah, The best way to get involved is to contact the Maritime Museum of San Diego. You can find out more here. Thanks! What time is this all supposed to happening? Hi Amber, please see the disclaimer at the top of the blog post. The event had to be cancelled due to a technical difficulty. As of right now, there is no set date for the launch.